Our friends at The Seattle Aquarium are one of our many organizations that utilize the SPLASHCAM line of underwater cameras to help educate students and adults alike. 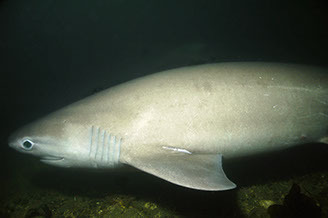 Their unique six gill shark research program monitors the sharks activity in the wild just off the Seattle waterfront. Having our cam feeds playing live on several monitors on the surface gives people a unique glimpse at the behavior of this rare species. Other institutions using our gear for research/education include but are not limited to: New England Aquarium, University of Washington, California Dept. of Fish & Game, Aquarium Of The Pacific, Montana Fish/Wildlife & Parks, Idaho Fish & Game, University of Florida, University of The Virgin Islands, University of Cal Davis, Ohio State University, Oregon State University, University of Tennessee, North Carolina Aquarium on Roanoke Island, University of New Haven, University of Hawaii, University of Waikato (New Zealand), and many more. The Delta Vision Industrial and Delta Vision HD are the most popular cameras for research. Applications include but are not limited to: Fish Weir Monitoring, Eelgrass (Zostera) Studies, Spawning Grounds Monitoring, Aquarium Live Web Cams, Invasive Species Studies and much more. Cameras can be used by one or more individuals for quick deployments or can be fix mounted for extended periods of time.